Something to be proud of Thailand. Latest reading from Chiang Mai. 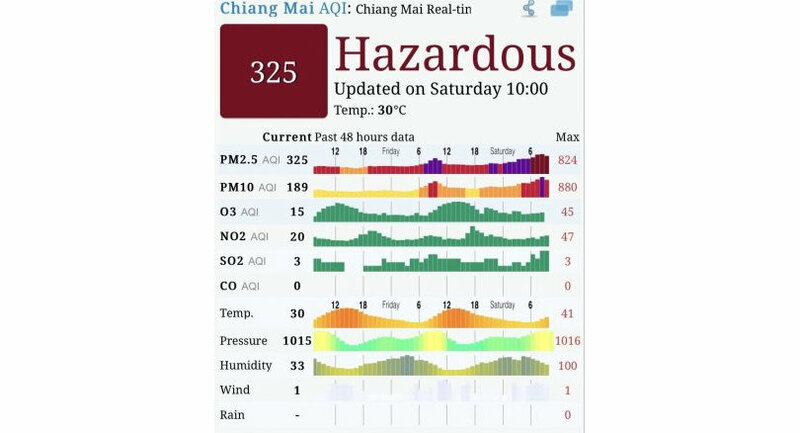 To put this in perspective, I have multiple air purifiers installed and still cannot get the AQI better than 70. We are trapped at home as I don’t want to poison my children any more. Visibility is down to a couple of hundred metres. I hope the voters in tomorrow’s election bear in mind the neglect of the current government in failing to deal with this issue. There are no fire prevention activities at all, no pressure being put on big businesses or hill tribes or adjacent countries to stop burning forests and fields, and no encouragement to use alternative agricultural practices. This is just one of the issues not being dealt with whilst action seems to concentrate on the retention of power, stifling opposition and generally making foreigners and dissenters feel unwelcome. Come on Thailand, start exercising real Thainess and sort your society out to bring happiness to all people who live and work here. Health is just a passing fancy. CM air quality, however, only hits acceptable levels 3-4 months of the year now. And that is hardly a passing fancy. Sickness is a huge price to pay. Got any other witty retorts for us? To paraphrase - "You will know the tree by it's fruits." All the the ministers, governors and all those in power should be ashamed that this dreadful situation is allowed to continue unabated. But I doubt if they are. But don't sweat it. The government in Bangkok says it's not a problem. "Lift rug, sweep, drop rug, claim success!"